Located at Gale this new 1 bedroom bungalow style apartment, sleeps 4 adults plus a baby. 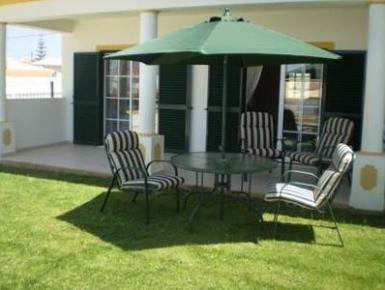 The apartment is well furnished with a twin bedroom, and lounge having a full size sofa bed with fully sprung mattress. Both have patio doors on to a private sunny terrace and garden with dining table, chairs and sun loungers. There is a separate fully equipped kitchen. A safe is provided. There is a selection of books and games. Weekly maid service with linen and towel change included.